Any one, plus plss, give ur input on audio/video quality! I think, sknath had posted EVP Kati Patang screen shots last year. I don't have EVP Kati Patang, but have seen it. The DVD is at par with DEI. EVP Aradhana that I have, has turned out to be different than DragunR2's version (mine is Video Mode, DragunR2's is Film mode). I would like both these DVDs as well, but am not sure what will I get now, genuine or improper replicated copy. Similerly, Kashmir Ki Kali, that I bought recently, turned out to be interlaced. So, I am holding off till I am sure of the quality of the presently available copies. All other EVP Hindi DVDs (bought last year) that I have are Film mode. Not really, Gautam da! infact, someof rajesh's films were GOOD indeed! 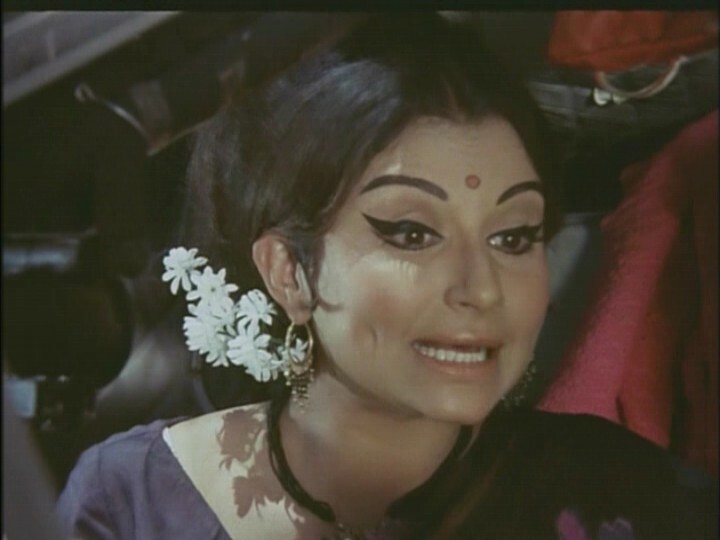 I personally prefer AMAR PREM and KATI PATANG! But will go for EVP versions, as DEI is DOOMED! 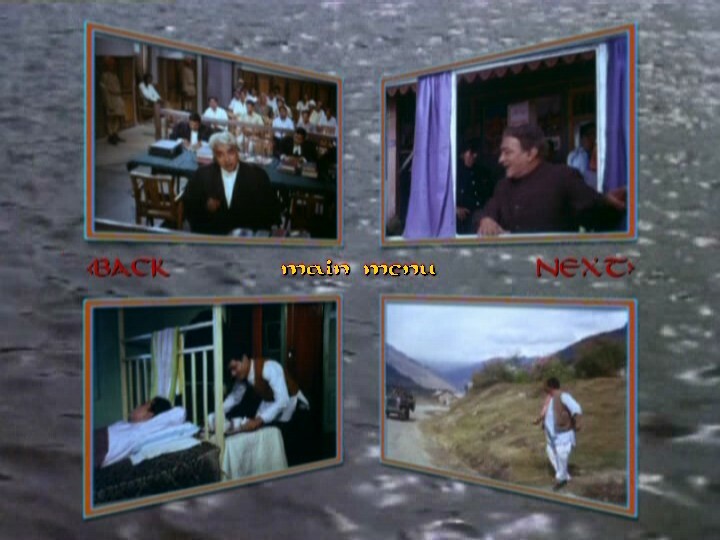 My copy of EVP Aradhana, which is in film mode, has a different general menu design. 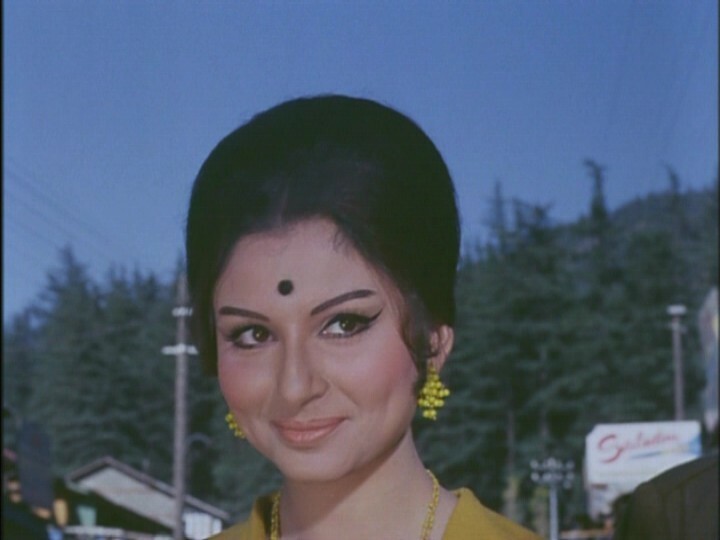 It doesn't have subtitles, and the main menu page has a picture of Rajesh Khanna and Sharmila Tagore. The chapters menu has a purplish background, and the chapters have titles below the boxes, such as "Vandana Comes Home." It does have Songs Video, Songs Audio, and Cast. 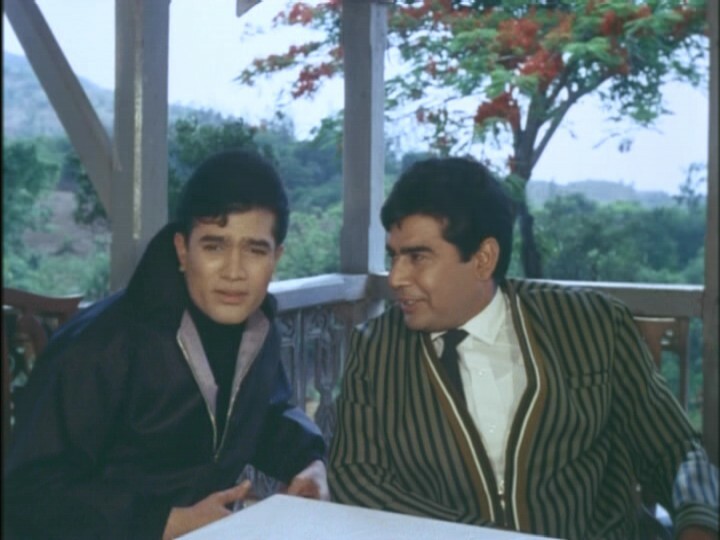 But my disc also includes a Coming Attractions option, which plays the original theatrical trailers for Amar Prem and Mera Gaon Mera Desh. My copy also has the EVP logo encoded as a subtitle track. Is the subtitled one interlaced? If you could provide the times at which the screenshots occur, I could compare all the shots included to the same shots on my disc. I was checking one of my disc! prob Abhiman..new batch..it does have EVP logo engraved into the picture, but not still, film mode!! so what happened in re processing/duplication that film ka video mode ban gaya? ??? The screenshots posted above ?.. Are they progressive or interlaced ? I think, ali said..all A's titles..video mode(interlaced)! ?to me personally, Aradhna is looking better than..Ajnabee!! Dragun pardon Moi for my brazenness...but would it be possible for you to give me 2 replicated copies of your DVD ( Will pay you for them... at least better than paying some other "noble sites" for that "dirty work" ).... what say mate ? It's normal for EVP titles to switch from Prog to Pseudo-prog (interlaced) in newer batches even if they were Prog in the original batches. Ajnabee Prem Kahani and Kashmir Ki Kali are from a PAL (or 25 fps dig camera) master and hence must have been Interlaced (are Pseudo-prog) in all the batches. 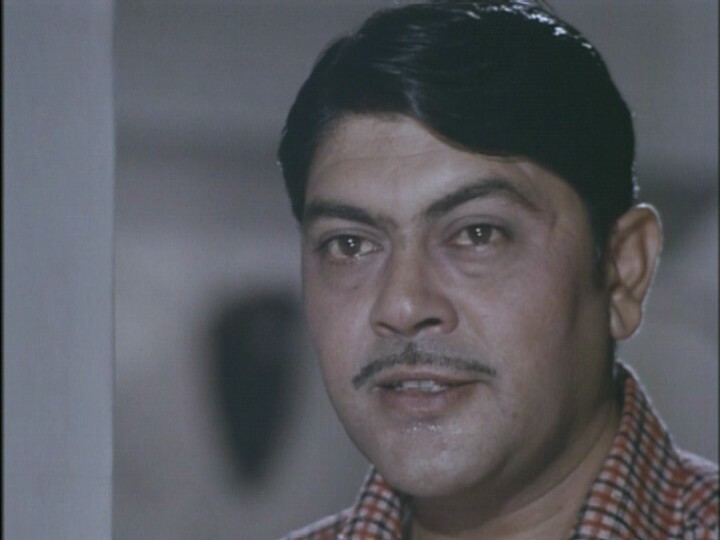 I do have Prog Abhimaan. EVP neither knows the difference nor do they seem to care. Old EVP Patthar Ke Sanam is prog in some segments and interlaced in other segments. I want EVP's Progressive KATI PATANG and ARADHANA which do exist Progressive. There is no hope of getting it from EVP. Acquiring a replicated copy is the only way.